The first AR-MAX1 compressor from MAN Diesel & Turbo has been successfully commissioned by Air Products in China. 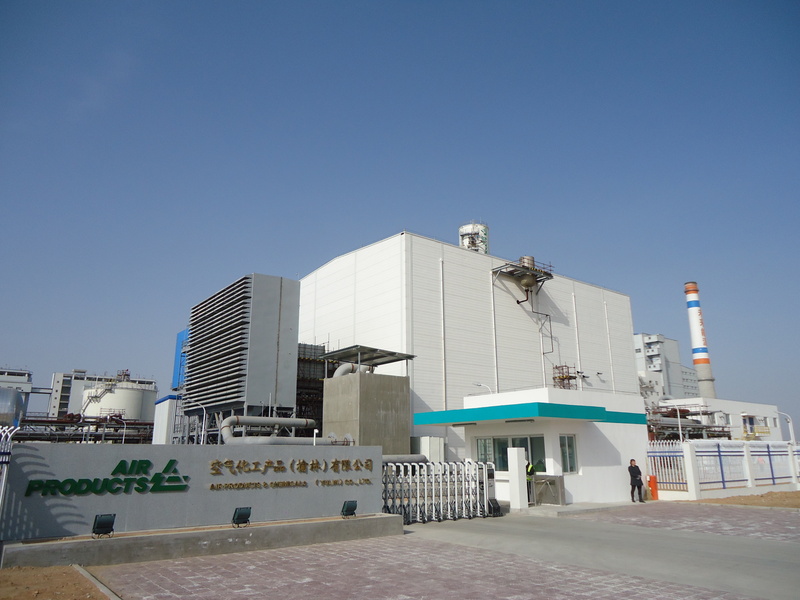 For MAN Diesel & Turbo, the commissioning of the first AR-MAX1 compressor in one of the world's most modern air separation units (ASU) currently being built by Air Products in Yulin (Shaanxi) China in April 2015 is another highlight in a success story. Air Products’ ASU at the site is expected to be fully placed on-stream later this year. One of the most challenging compressor development projects in MAN's corporate history has thus not only been realized successfully, but has now gained an important reference point. The axial compressor AR-MAX1 used as the main air compressor is already regarded as a technological milestone in the market. “Commissioning of the first AR-MAX1 for our new facility in Yulin was very successful,” said Mark Begg, Asia Operations Director Industrial Gases at Air Products. “We look forward to similar success with the additional AR-MAX1 units as we progress to bringing our ASU fully on-stream in the coming months. We are pleased with our working relationship with MAN and look forward to the contribution their technology will provide to our facility when complete.” Shortly after the final sales release of the AR-MAX1, at the beginning of 2012, Air Products, the US-based global industrial gas company, ordered four AIRMAX S trains. These each consist of a main air compressor AR105/06M and an integrally geared compressor RG45-6 as a booster compressor. 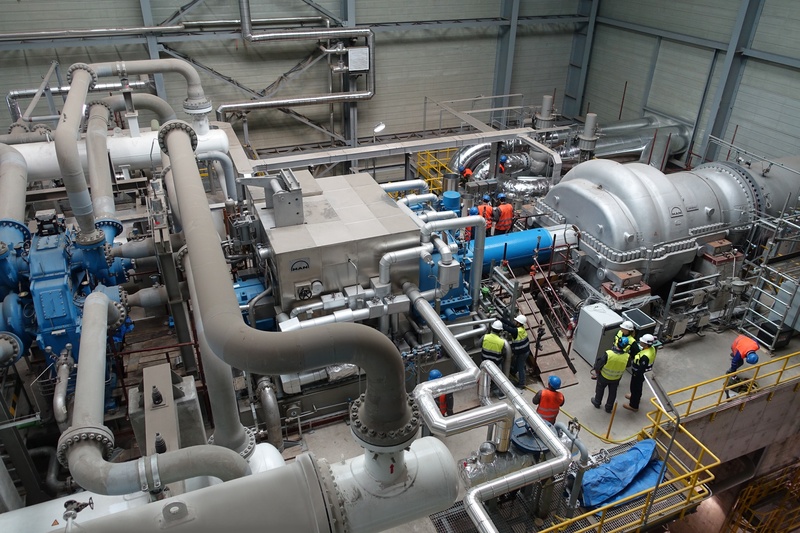 A steam turbine DK80/190R positioned in between, drives both compressors. “Since the sales release of the AR-MAX1 we have received orders for 19 AIRMAX trains in total, 15 of which have already been delivered," explains Dr. Kai Ziegler, Vice President Engineering Compressors and Expanders at MAN Diesel & Turbo in Oberhausen. "This excellent response confirms our product planning," he adds. As part of a new high-level service approach MAN Diesel & Turbo enables that turbomachines can be operated optimally over the entire life cycle. "Amongst other things we have prepared a comprehensive remote monitoring and diagnosis system with which we can support customers after the commissioning, for maximum availability and productivity," explains Dr. Hans-O. Jeske, Member of the Executive Board and Chief Technology Officer of MAN Diesel & Turbo. The design of the AR-MAX1 combines the advantages of industrial compressors, such as robust design and a high level of efficiency, with the advantage offered by compressors in gas turbines and aircraft engines: a particularly high power density. MAN Diesel & Turbo can thus serve large air separation units, also termed mega-ASUs, with a uniquely compact, robust and efficient compressor solution from a single supplier. All turbomachines in the AIRMAX train are "Made by MAN." While the companys plant in Berlin designs and manufactures the integrally geared compressors, AR-MAX1 axial compressors and driving steam turbines are designed and produced in Oberhausen, where furthermore very large test beds are available for ASU air compressor trains. Air Products is building and will own and operate the air separation unit in Yulin, China. The plant unit is designed for a production capacity of 12,000 tonnes of oxygen per day (t/d) and also provides significant volumes of nitrogen and dry compressed air for a coal-to-oil products facility. Air Products’ modern air separation unit in Yulin, China will use four AIRMAX S trains from MAN Diesel & Turbo.